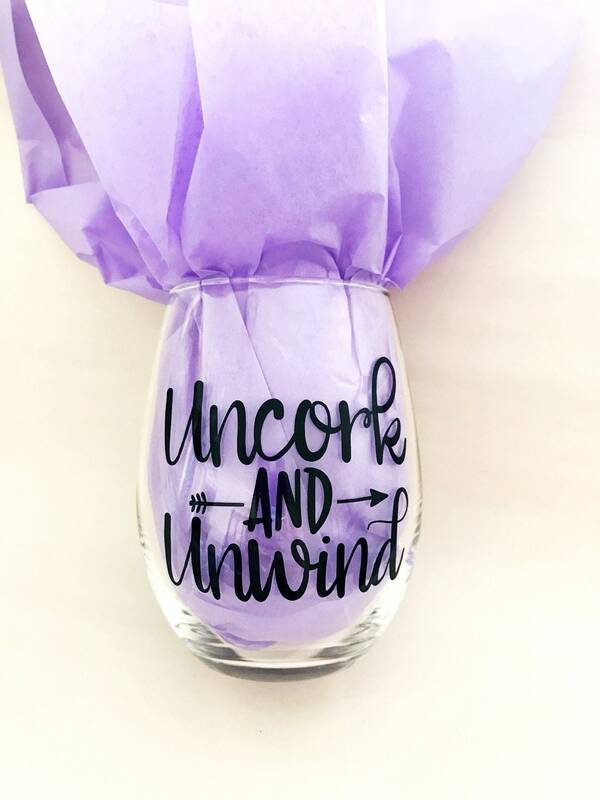 Perfect for a wine party, 21st Birthday gift, best friend gift or for a wine Wednesday! 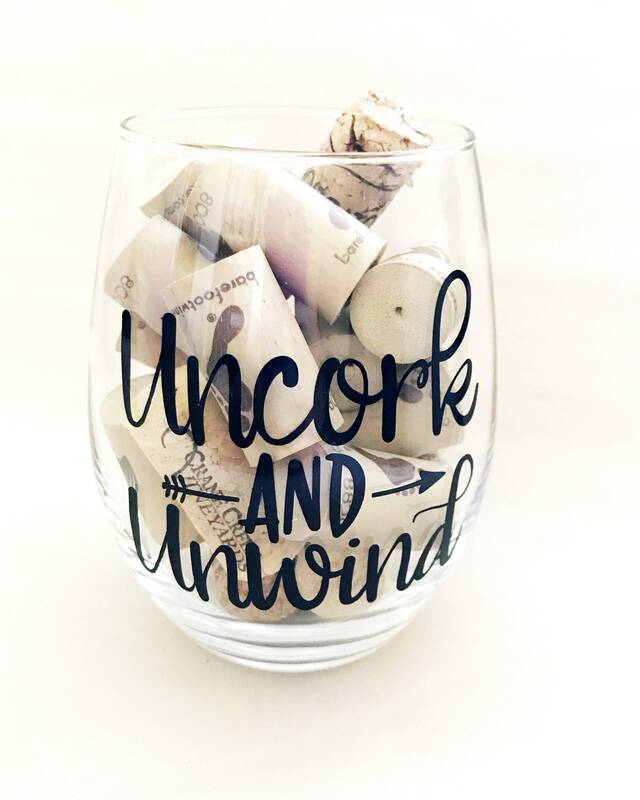 Any time is a good time to Uncork and Unwind! 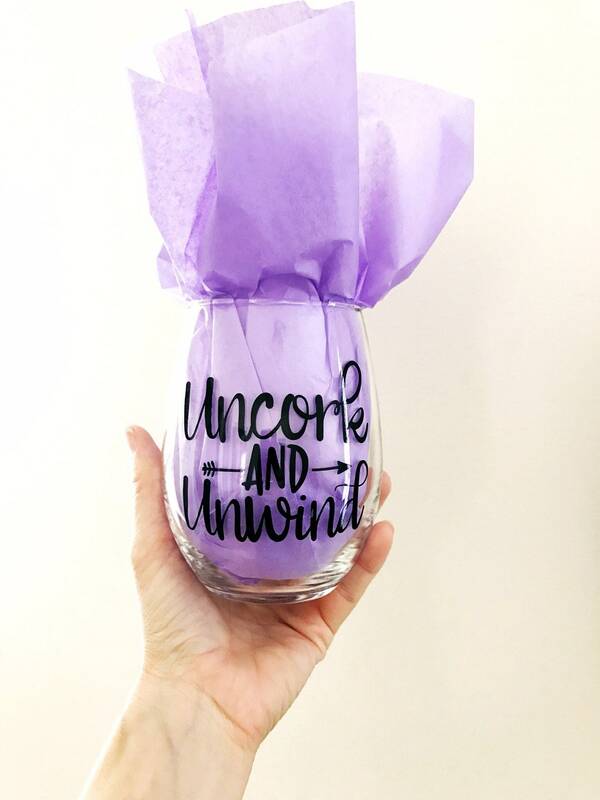 21oz stemless wine glass is sure to suffice your wine lover needs.